To register by mail, please download the printable registration form and mail in with the appropriate fee. Fee includes soft technical tee, finisher’s medal, and excellent course support and post race food. You must be 13 years old to compete without an accompanying, participating adult. If you have a child younger than 13 who wishes to participate with a registered, participating adult, please complete the underage runner form. Participants who register as a walker must walk the entire course. If you plan on running any at all, please register as a runner! Runners may walk, but walkers may not run. 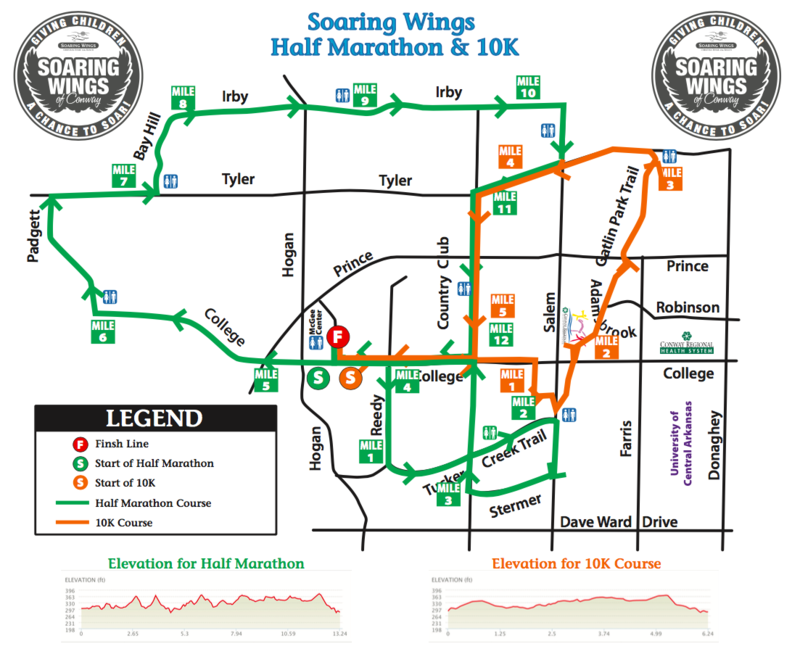 Course support will end 3.5 hours after the beginning of the race on the Half Marathon course, with a rolling closure. This allows for a 16 minute pace. Transfers between events and between people will be allowed through September 7 for a $10 fee, in addition to any difference in the cost of events. This can be managed in the race registration system using the link in your race confirmation email. There will be no refunds. 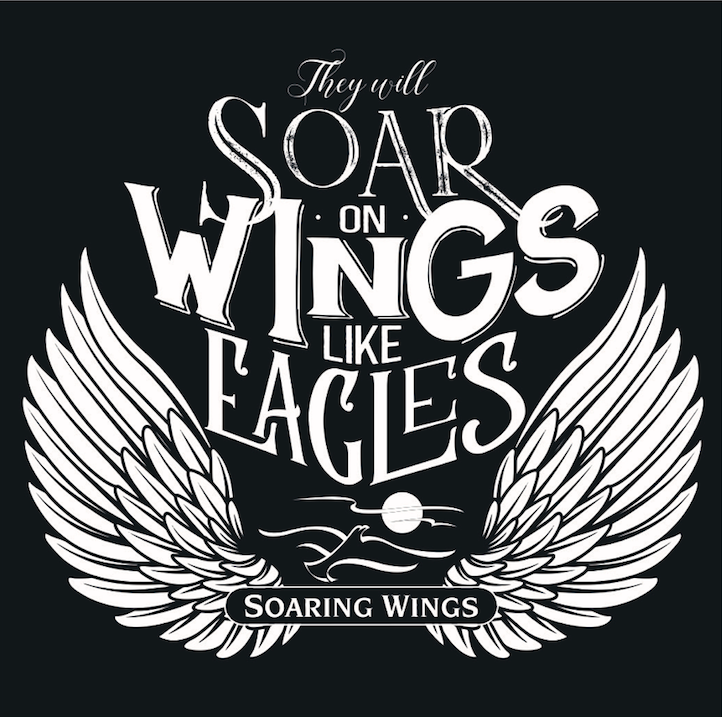 If you are unable to participate in the race for any reason, your fee will be considered a donation to Soaring Wings Ranch. Manage your registration and search for participants using the button below. For help transferring your bib to another person, click here. For help in transferring your own registration to a different event, click here. Saturday, October 19 at the McGee Center (Race Headquarters) 5:30 AM – 6:45 AM. You may pick up a packet for a friend! Just bring a copy or photo of their confirmation email OR their ID along with your ID. Chip timing provided by Stearns Race Timing. Yes, we have Pacers! More information on pacers coming soon. Aid Stations will be located approximately every mile and a half. They will be stocked with water and Gatorade, with Honey Stinger gels at the Mile 6 aid station. We offer a 12 week training program. Come train with us! 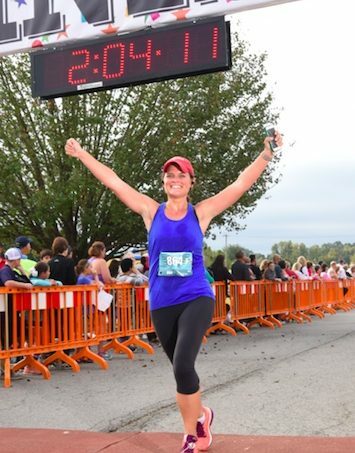 The Soaring Wings of Conway Half Marathon course offers a USATF certified course (course #AR08013DLP) that is beautiful and rewarding. The course begins on College Avenue at Conway’s McGee Center, moving through beautiful West Conway. Part of the course follows Tucker Creek Trail, a paved pedestrian trail, then connects back to Conway’s roadways. You will see several of Conway’s schools, two golf courses, and some beautiful residential areas. Get ready to experience the best in southern hospitality as the residents of Conway line the streets and cheer you on ALL along the way! Check out a course map here! The McGee Center is located at 3800 College Ave. Access to the McGee Center will only be available off of Prince St., just east of the Prince St. and Hogan Lane intersection.